Click any image of this 1986 Chevrolet Camaro Z28 to engage HD Image Gallery. 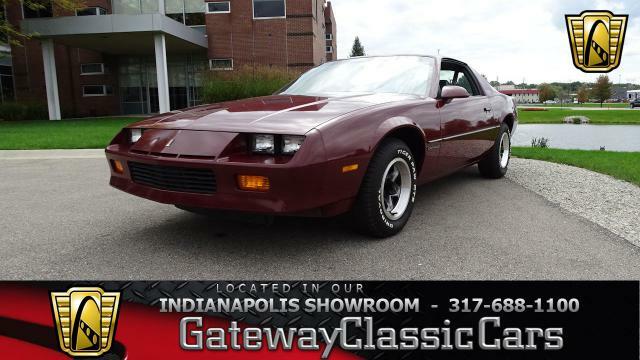 Gateway Classic Cars of Indianapolis Indiana proudly presents this 84440-actual mileage 1986 Chevrolet Camaro Z28. Representing the third generation of the beloved muscle car, Chevrolet released the F-Body Camaro in 1982 which featured four-cylinder engine, hatchback bodies and factory fuel injection. 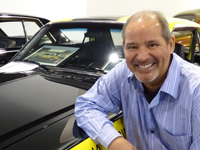 In just three short years, Chevy unveiled the IROC-Z named after the International Race of Champions. THE PRICE HAS JUST BEEN REDUCED FOR SPRING TIME SAVINGS! Here is your chance to own a great car at a great price! Call, text, or email us today. Options for this 1986 Chevrolet Camaro Z28 include; Air Conditioning, AM/FM Radio with CD Player, T-tops, Cruise Control, Power Brakes, Power Steering, Power Locks, Power Windows, Tilt Steering Wheel, Seat Belts, Cloth Interior, Anti-Theft System and After-Market Aluminum Wheels wrapped in Radial Tires. Don't miss out on this very nice 80's muscle car. This 1986 Chevrolet Camaro Z28 can be seen including 100+ HD pictures and video at www.GatewayClassicCars.com. 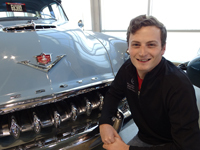 For additional information please call 317-688-1100, text 317-734-9853 or email Indianapolis@gatewayclassiccars.com.